After a good night's sleep we awoke to an improved forecast. We had planned to do the D day beaches ride from our Lonely Planet Cycling France guide book. The start of the ride was from the cathedral in Bayeux about 2 miles from where we are staying. It was an easy landmark to find, the rest of the directions were varied and we needed a map to ensure we were heading in the right general direction. We had one unintended pleasant diversion but eventually made it to Omaha beach. The monument on the hill provided a reminder it was the site of one of D days fiercest battled. We climbed the hill to the moment and then continued to the American cemetery. The 9386 white marble crosses provide a visual reminder of the catastrophic loss of life. 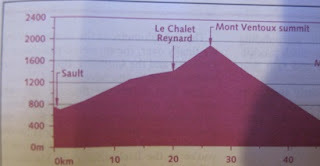 After the cemetery we deviated from the route and followed a bike velo vert bike path to St Honorine des Pertes. 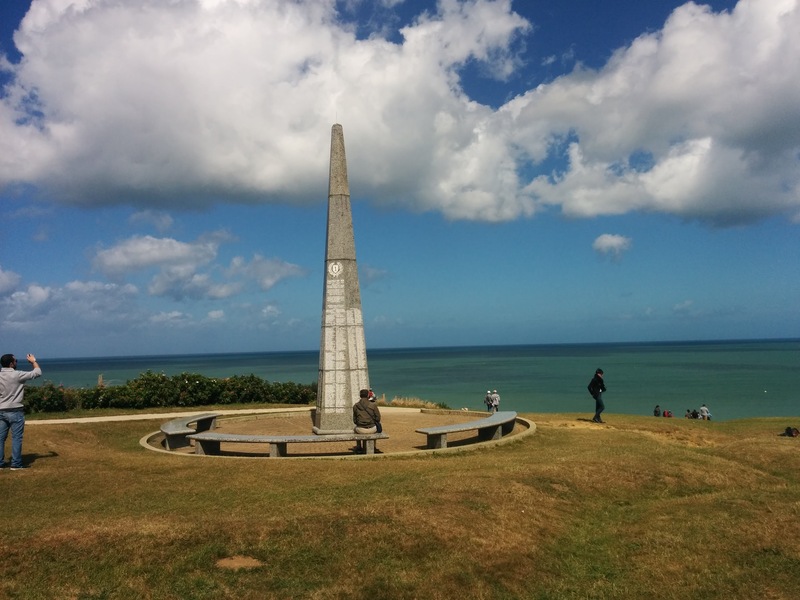 There we rejoined the route and followed the coast road to Port-en-Bessin. The pretty fishing port provided a late lunch from a Boulanger and we shared a bench with an English cyclist. 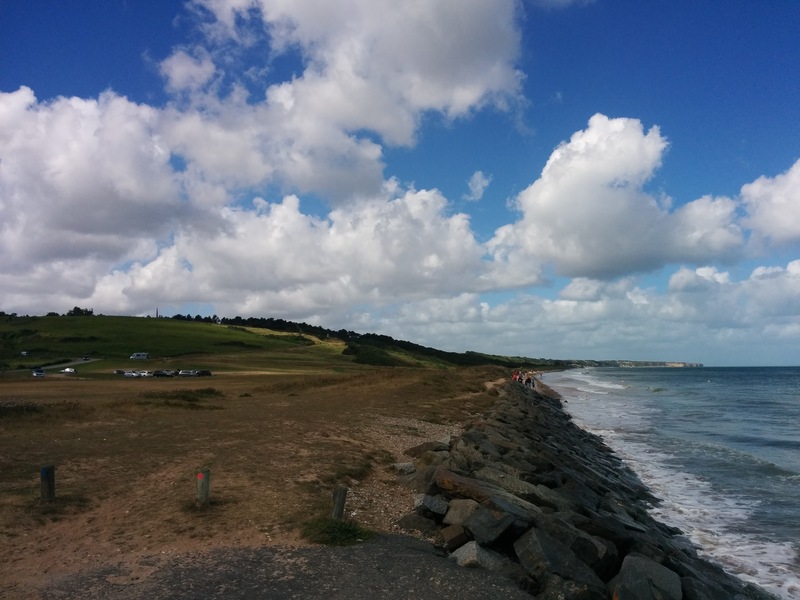 We continued following the coast heading for Arromanches. The turn off La Choas de Batteries turned out to a left and not right as directed. 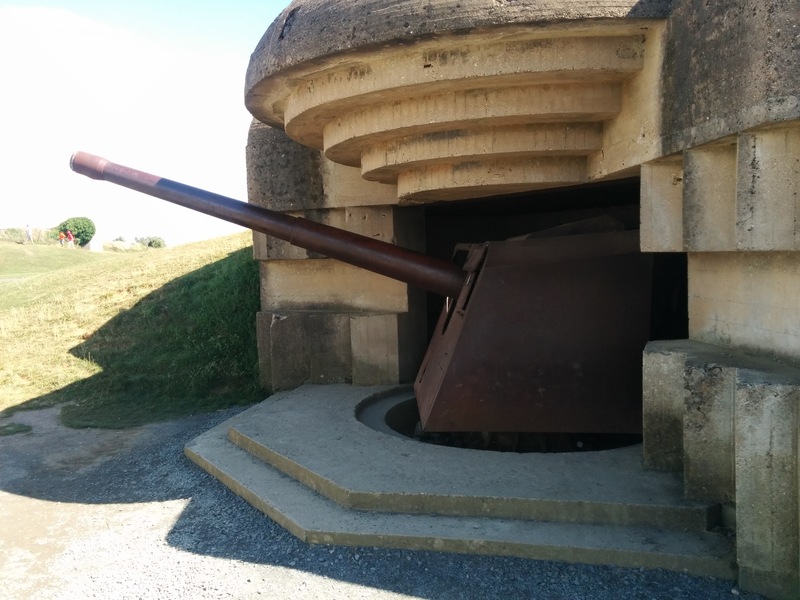 The Batterie De Allemande were built to hit targets 20km away and are the site of the only in situ large calibre guns left in Normandy. 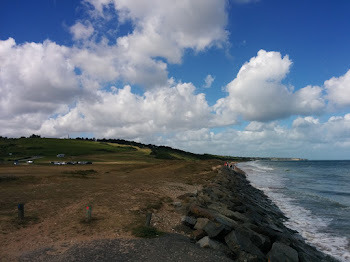 Another deviation from the route saw us following a coastal footpath before we rejoined the route for the descent to Arromanches. 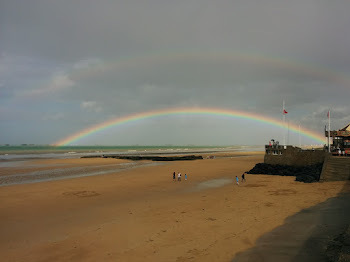 The remains of the Mulberry harbour that was towed from England for the D day landings was still evident just off the beach. After a brief rain shower the sun came out and we were rewarded with a rainbow. We deviated again from the route on our return to Bayeux and following a marked bike route on minor tracks and paths for 10 km back to the town. We decided cook in our accommodation and stopped at a supermarket on the edge of town for provisions.